Book talk: Stealing is a way of life for Kyra, and she doesn't have much pity for the corrupt, rich people that she steals from. So when she gets a job offer that will pull one over on them, she takes it. But when she discovers the hidden motivations behind the job, she starts to question everything. Tristam is a loyal knight who is willing to sacrifice himself for the realm. He's always had faith in the palace and the unwavering moral rightness of his cause. But when he witnesses the brutal death of his best friend, it sets him on a path to discover the hidden corruption and brutality at court. A thief and a knight may make a strange pair, but in a world that no longer makes sense unlikely alliances may be the only answer. Rave: I was pleasantly surprised by this book. I thought it was going to be another cliched fantasy thief story but it consistently defied this expectation. There were plenty of characters to root for and, refreshingly, there were psychological consequences to the violence they witness. I'm so used to reading books filled with violence where it's glorified and people just shrug it off that I really appreciated seeing characters responding to it in a realistic way. There are multiple groups playing against each other and none of them is entirely good or evil and some individuals in a group may be honorable while others are corrupt. I found this refreshingly realistic too. Blackburne does a wonderful job painting a portrait of a complex world where there aren't a lot of clearly good choices. Characters make mistakes and allegiances change as first impressions turn out to be wrong. I'd highly recommend it to fans of fantasy. Every book its reader: I'd give this to fans of high fantasy 7th & up. 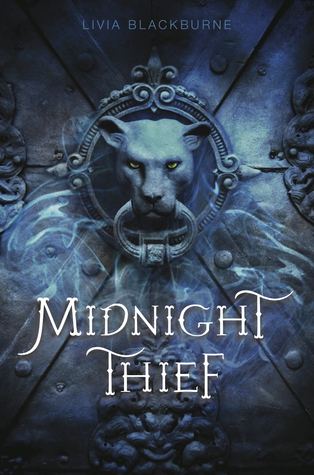 Midnight Thief by Livia Blackburne: buy it or check it out today!